With more than 7,000 of them, the Caribbean islands offer a diverse range of sizzling holiday experiences. If you choose to take a Caribbean cruise, the getting there will be just as much fun as indulging in all the Caribbean islands have to offer. Sailing around the many beautiful Caribbean cruise destinations is a superb way to tick off both cruising, if you haven’t done it before, as well as throwing yourself into the colourful culture of these island havens. The best time of year to sail the Caribbean islands is late June to mid-August, and February to April. These holiday periods will give you more Caribbean sunshine, and less rain! With so many islands, countries and states to explore in the Caribbean, start your cruise planning as soon as possible, as it will take you some time to check out all the Caribbean cruise itineraries to find the one that is perfect for you. If you have taken holidays on cruise ships before, you will know how totally spoilt and pampered you are while onboard. On my first cruise I certainly felt that the luxury lifestyle onboard far exceeded my expectations and the cost of the cruise. If you are a novice cruiser, then you are in for a very pleasing surprise… Cruise companies are constantly refreshing their guest offering in the rush to offer the first, the most exclusive, or the best onboard cruise attractions. If you are looking for the sensation of being part of an exclusive experience, well cared for and at liberty to indulge in some of the most pleasurable and sophisticated guest facilities, all complemented by a stellar guest service, look no further than a cruise holiday. Many of our team have been on a number of different cruises and we find that each cruise brand has its own unique style to bring to your cruise holiday. So whether you’re a first-time cruiser or a seasoned high seas adventurer, here is your guide to planning your exotic island escape. From the variety of Caribbean cruise destinations, cruise itineraries and your port days, to selecting the onboard lifestyle that suits you best and planning your pre-cruise hotel stopovers, we’ve got it covered. All booked? Don’t forget to check out our cruise packing tips for savvy travelling. It’s important that you match your lifestyle aspirations to the cruise brand that delivers all you want. Choose your cruise ship based on what kind of experience you are looking for. Here are seven of the best Caribbean cruise lines, with key highlights and features to help you choose the right cruise for you, from intimate luxury to wholesome family entertainment. Highlights: Azamara runs special events during your evenings in port, including concerts and after hours museum tours, so you can make the most of your time in port by venturing ashore. Also, Azamara cruise itineraries tend to be more intimate, with an exclusive feel, given the smaller size of its cruise ships – which also allows its ships to visit more ports than is usual in Caribbean cruise itineraries. We love the 13-night Caribbean Holiday Voyage which stops in the Bahamas, St Lucia, Barbados, Antigua, Key West and the British Virgin Islands – it really is the perfect classic tour of the Caribbean islands. Highlights: Centred on fun, Carnival Cruise Lines has just launched the first IMAX Theatre at sea onboard its latest ship, Carnival Vista. We also love the idea of spending some time in the adults-only Serenity Retreat and the Cloud 9 Spa, where the staff are artists in the craft of relaxation. At the end of an exciting day exploring, it is the best way to take time out to chill and refresh yourself, ready for an evening’s entertainment. Meanwhile the gorgeous Havana Staterooms on the latest Carnival ships feature treats such as luxurious rain showers, an exceptionally spacious balcony where you can enjoy 24/7 al fresco dining and access to an exclusive bar and pool. 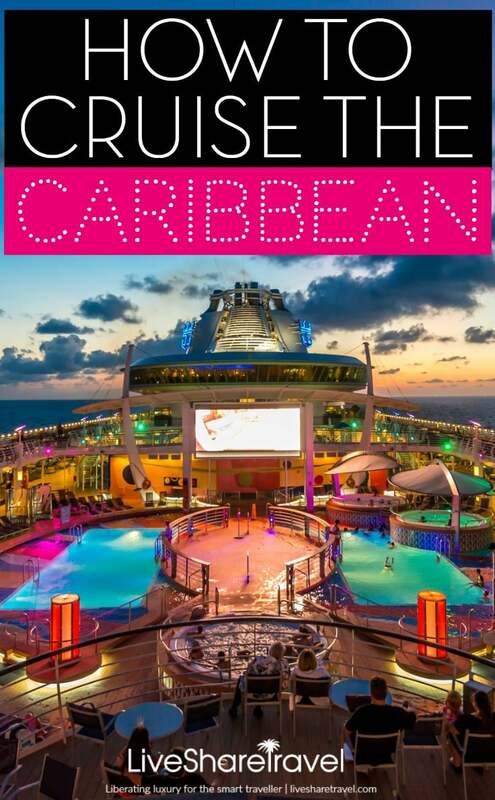 You can sail the Eastern Caribbean with Carnival, embarking at Port Canaveral or Fort Lauderdale in Miami. Port stops include Amber Cove in the Dominican Republic, Half Moon Cay or Little San Salvador Island – a tiny private island in the Bahamas where luxury cabanas fringe the beachfront, and Grand Turk, the capital island of the Turks and Caicos which boasts beautiful beaches and a fascinating history. Highlights: We like the sound of Celebrity Cruises’ art tour for the more cultured cruisers or those who simply appreciate having something different to do. 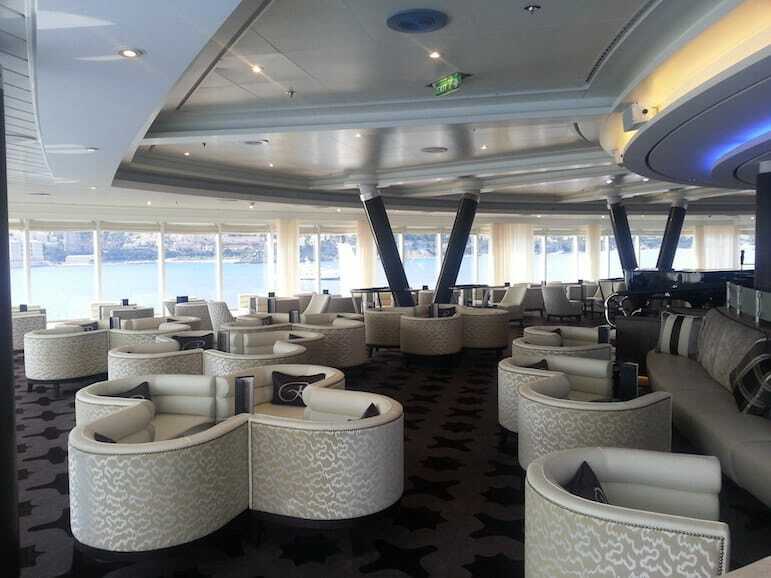 The chic bar and restaurant options to be found on this fleet of cruise ships are made to lose yourselves in, as day drifts gently into night. If you struggle to decide on what to do first, the Celebrity Life programme packages a range of activities together which are centred on taste, learn, play and revive. Or, if you simply want to get away from it all, the Hideaway features cosy furnishings to relax, read or just do nothing. Sounds like bliss. The cruise line operates cruise itineraries in the Southern and the Western Caribbean, sailing from Miami, Florida, with ports of call including the Bahamas, the Greater and Lesser Antilles, Jamaica and Bermuda. Highlights: The Norwegian Cruise Line’s Mandara Spa experience, combined with a packed schedule of comedy and award-winning shows for the whole family, have us sold on this cruise brand. Norwegian is also a great choice for foodies, with its flexible dining approach and no formal dress codes, a holiday on one of these ships is a totally laid back cruising experience. Meanwhile, solo travellers will love the studio cabins and private lounge area and bar to be found onboard the Breakway, Getaway, Escape and Pride of America vessels. NCL stands out for the freedom and choice its freestyle cruising experience offers its passengers. An award winner of the World Travel Awards’ ‘Caribbean’s Leading Cruise Line’ for three years running, the newest NCL ships, the Getaway and Escape, sail year-round from Miami, your ports of call to include St Thomas in the US Virgin Islands, San Juan in Puerto Rico and St John’s in Antigua. 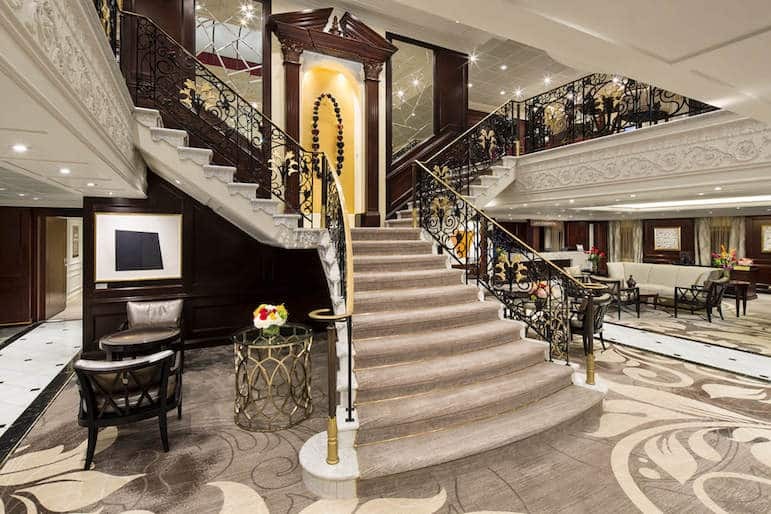 Highlights: Regent Seven Sea Cruises really do let you live life luxuriously. You will be made to feel very special indeed on one of these cruise packages. Regent Seven Seas Cruises offers an up-market all-inclusive package in which the word ‘unlimited’ features largely. Its all-inclusive fares cover your one-night pre-cruise hotel, flights, all transfers between ship and shore destinations, unlimited excursions, unlimited food and drinks, including premium-brand spirits, pre-paid onboard gratuities, 24/7 room service and more… Formal nights are optional and standard suites are surprisingly spacious. 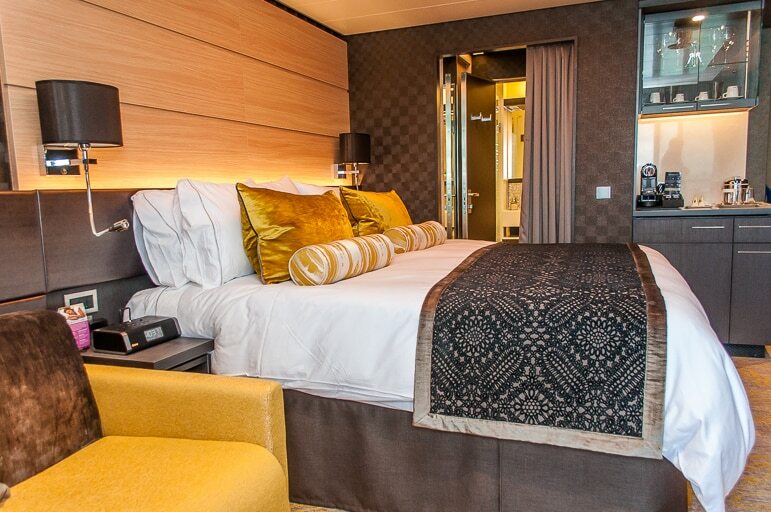 Its most recent ship, the Regent Explorer, is currently considered to be the most luxurious ship afloat, featuring suites that will set you back £10,000, so if you have something uber-luxurious in mind, Regent could be the answer. Highlights: Catch a Broadway production, plus there’s plenty of entertainment for the little ones too, including the Dreamworks’ experience and a Teens’ Club. Advanced features onboard include robotic waiters in its Bionic Bar and thrilling sky diving at sea. 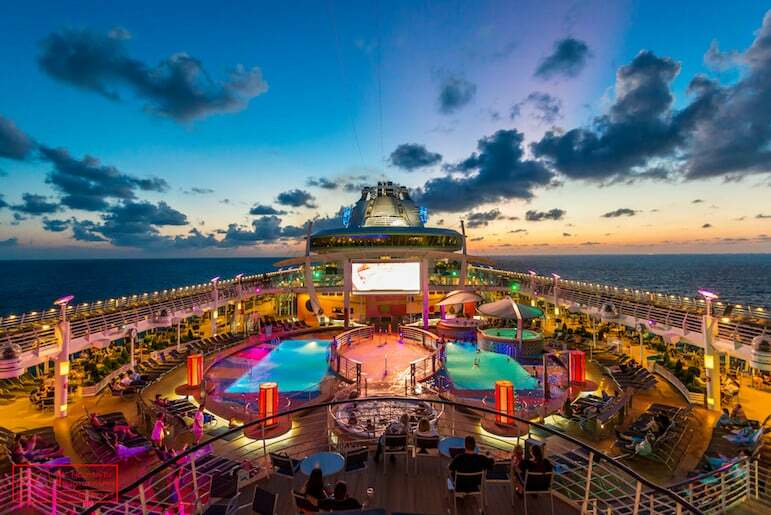 The shows go on – and on – on a Royal Caribbean holiday, with West End-style theatre productions providing the dazzle, and an AquaTheatre keeping you on the edge of your seat with daring high dive acrobatics, plus lashings of comedy acts and live music. The latest launch, Symphony of the Seas, is a mega ship with 18 decks and even seven ‘neighbourhoods’ in which to while away your time at sea. A Royal Caribbean cruise is perfect if you get restless or bored easily on holiday, as there is so much to do while on board one of these ships they really are floating playgrounds! With East, South and West Caribbean cruise itinerary options, Royal Caribbean has the region pretty well covered. A seven-day Southern Royal Caribbean cruise itinerary sails to Curacao, Aruba and St Kitts. 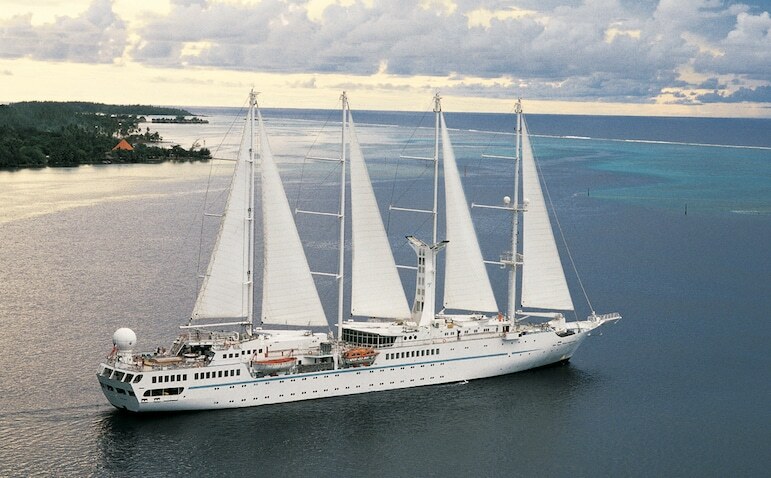 Highlights: Windstar Cruises sail small-scale ships offering an intimate environment, but they are definitely big on personal service, having a crew dedicated to ensuring each passenger enjoys undivided attention, wherever they are in the ship. These smaller vessels can often access shallower ports bringing some unique ports of call to the Windstar cruise itinerary. Enjoy the casually elegant atmosphere onboard without the crowds, as well as having sail away sunset BBQs to look forward to each time you wave goodbye to a port. Windstar’s personalised cruising is designed for just 310 passengers at a time so if you are looking for something a little more exclusive which speaks more of luxury cruise than package holiday, this just might be the right way for you to cruise the Caribbean. We also like the fact that the cruise line offers you the opportunity to form deeper connections with the people and places you visit through its luxury cruise itineraries, which are largely unique to Windstar Cruises, its sailing ships being able to moor up at many of the smaller harbours and ports which are not accessible by the larger cruise vessels. 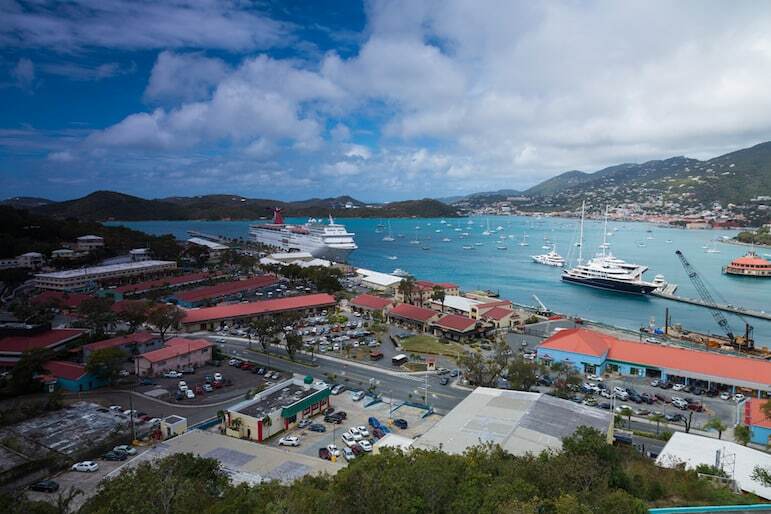 Falmouth Harbour, far south on the island of Antigua, and Jost Van Dyke at Great Harbour and Virgin Gorda in the British Virgin Islands, are just some of the harbours on Windstar’s Yachtsman’s Caribbean itinerary which departs from St Maarten in the south Caribbean. Once you have selected the cruise ship and onboard experience which best suits you, generally you have three options in planning a Caribbean cruise – and they are East, South or West Caribbean sailing routes. Here are some unique things to see and do – beyond the beaches – in some of the most popular Caribbean cruise destinations. The cruise liners offer a variety of tour packages for the times you spend in port at your port of call destinations. This can be a useful option for the less organised, because if your shore excursion runs late or you are having way too much fun to clock watch, the ship will wait for you to return before sailing off. However if you book independently, the cruise will depart with or without you. The Leeward Islands of Antigua, where the Caribbean Sea meets the Western Atlantic Ocean and the first of which is the Virgin Islands, east of Puerto Rico, has two reefs which are great for snorkelling. Cades Reef to the south-west has a partially exposed reef and is a national protected marine area populated with clouds of colourful sea life; to the north-east there are several islands with shallow waters to explore an underwater world where spiny lobsters, parrotfish, conch, eagle rays and barracudas glide through the coastal coral reefs. Or you could visit Betty’s Hope, a sugar plantation housing a restored windmill, where you can learn about the plantation’s history at the interpretation centre. Don’t forget to make time for a little shopping on your return to your port and ship. Head for Heritage Quay or historic Redcliffe Quay with old world-style buildings along its enchanting waterfront promenade. The latter is sited inside a Creole-style building and is rich in character, reflecting the original architectural style of St John’s City of a hundred years ago. There are plenty of beaches you can lounge on when you arrive in Aruba. If you’re not really a sun worshipper, head inland to explore the island beyond its white-sand coastline, kissed by its cooling trade winds. 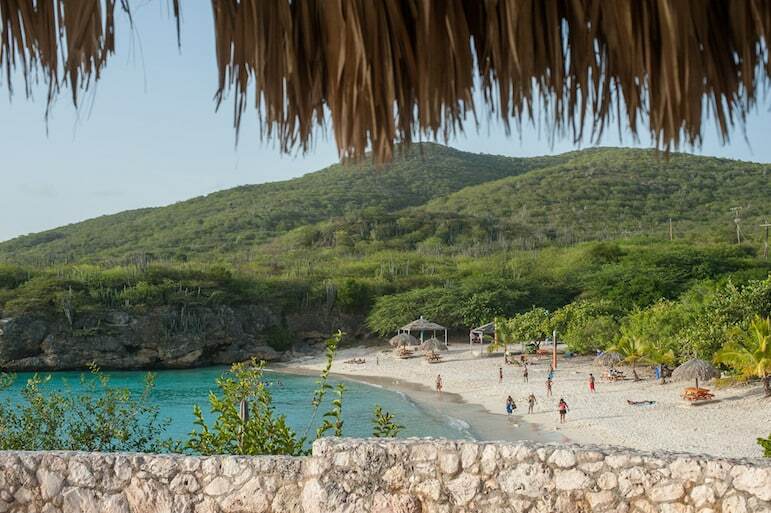 Book a half-day island tour to delve into Aruba’s most popular exports, including a visit to a cigar producer, an Aloe Vera factory and a local brewery. 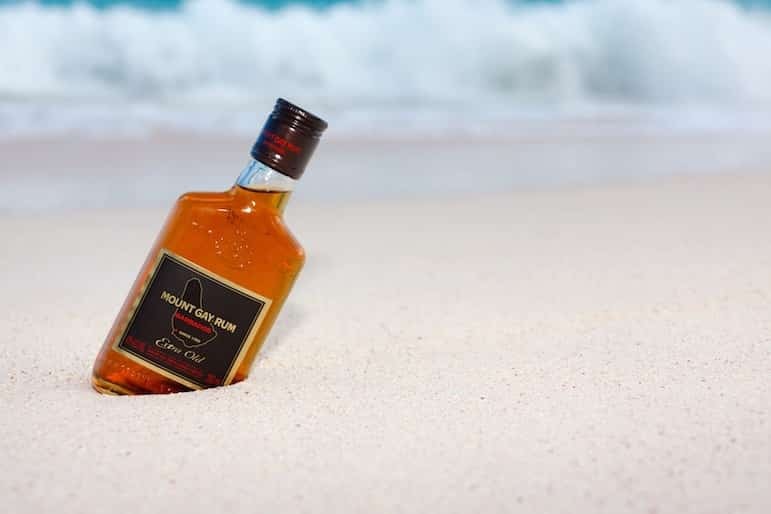 On the four-hour Made in Aruba tour you will also get the chance to sample some of the local rum spirits and discover how Aruban glass and ceramics are made. The Queen’s Staircase is a major landmark at Fort Fincastle in the capital of Nassau on the island of New Providence. The steps were originally built for soldiers at the fort to give them quick access to the harbour in case of attack. Also referred to as the 66 steps, the limestone steps were carved out by slaves using nothing more than hand tools. Only 65 steps remain, as one was covered when the street was paved. Today they symbolise Queen Victoria’s reign and honour the role she played in abolishing slavery on the island. 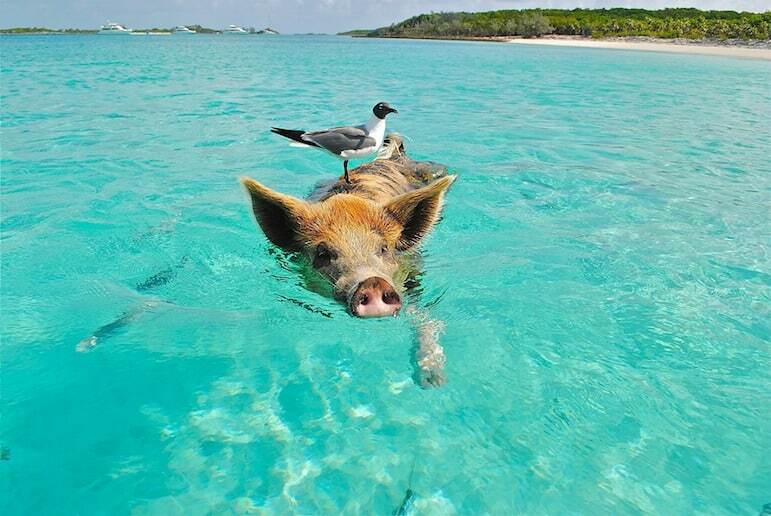 Then, of course, there’s the swimming pigs at Pig Beach, on Big Major Cay – just a short water taxi from Nassau. No one is quite sure how the pigs arrived in the islands, but rumour has it they were brought here by sailors, or escaped from a shipwreck. Nonetheless they are a most curious and memorable sight. Picture gorgeous aquamarine waters, swaying palm trees, with a cooling cocktail in hand, and you’re probably dreaming of the tropical island of Barbados, one of the easterly islands of the Caribbean. Time spent on the fabulous world-renowned beaches is a must during your visit, before exploring some of the other island highlights. Nearly all beaches here are carpets of the finest white sand – The Crane in Barbados rightly earned its accolade of being ‘one of the ten best beaches in the world’ by Lifestyles of the Rich and Famous. For something completely different and subterranean you should visit the unique natural wonder that is Harrison’s Cave with its glossy pools, rushing streams and magnificent caverns, before catching a tour at the Mount Gay Rum Distillery, learning all about the region’s world-famous export. And of course, a little duty free shopping at the Limegrove Lifestyle Centre is a must, with savings of between 20% and 40% on some of the world’s upscale designer brands, topped by having dozens of world-class restaurants and bars close by for when you’re ready to take a shopping break. Does shopping come any better, anywhere in the world? 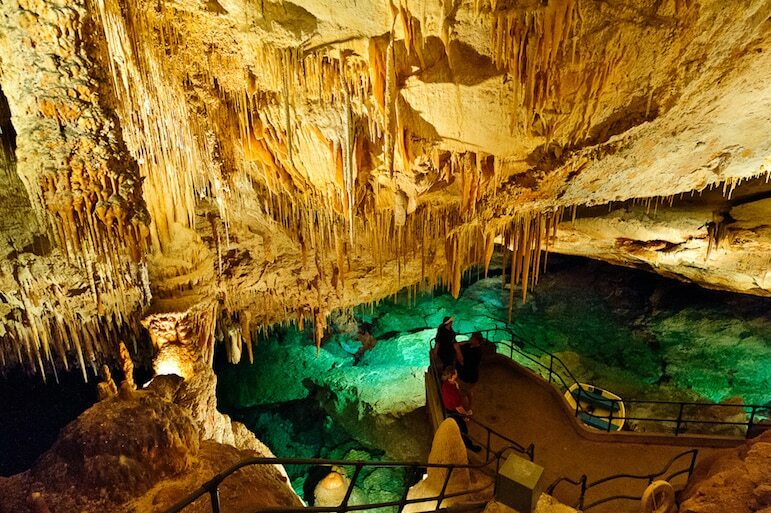 The Crystal and Fantasy Caves were discovered in 1907 by two boys and, today, still remain one of Bermuda’s top visitor attractions. As the story goes, the two boys were playing cricket when the ball was hit down a hole. When one of them went to retrieve the ball, that’s when they discovered the crystal formations around a 55-foot lake. Bridges connect the two caves so you can admire the intricacies of the chandelier clusters and delicate crystallised soda straws in their full glory. Tortola, Virgin Gorda and Jost Van Dyke are the main island stops when taking a Caribbean cruise of the volcanic archipelago. With a combination of culture, history and wonderful landscapes, the Virgin Islands offer their own special kind of magic. 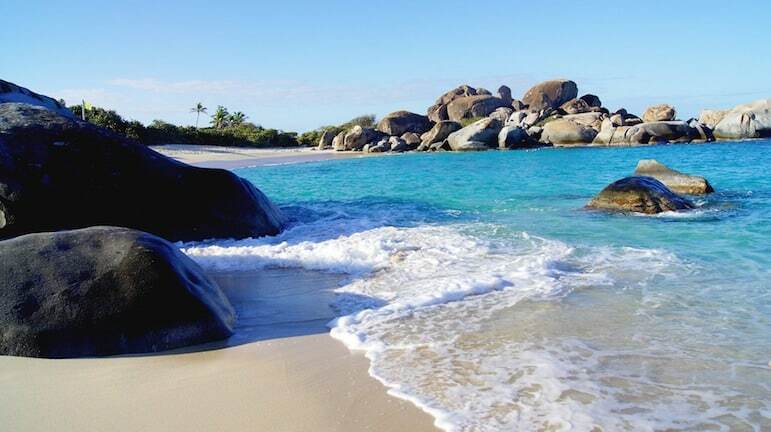 Virgin Gorda’s natural granite boulders and quiet coves are the epitome of solitude, while the colourful spirit of Jost Van Dyke and its indulgent food offerings are enough to tempt the tourists in significant numbers. The lush green mountains and glitzy yacht-filled harbours of Tortola, the largest of these islands, attract many a luxury traveller with its kaleidoscopic mix of high-end resorts and heritage sites. Try your hand at fly fishing, discover life underneath the waves with a diving or snorkelling experience, or unearth the islands’ roots in sugar, cotton and lime juice production. There is a fascinating and a plentiful heritage here, including African, Spanish and Indian influences, all fusing together to inspire the islands’ cuisine, shops, arts and fashion. Hailed as Curacao’s best-kept secret, the Amazonia Tour is one of the latest attractions on the island, where you can learn all about the lost Mesoamerican culture on a one-hour tour. With dozens of Mayan, Aztec and Inca sculptures to be revealed amidst exotic backdrops, including rainforests, temples and pyramids, plus first-hand interactions with some Maya tribes, it all adds up to an unforgettable adventure. Or to get back to nature, for real, visit the Christoffelpark – a national park which consists of 4,446 acres of nature trails overflowing with exotic wildlife and gardens. After some beach time, or enjoying the more sedate and leisurely pastimes onboard your ship, it’s perhaps time to take your cruise holiday up a gear with a dune buggy tour on Grand Turk Island to stand in awe – cameras at the ready – at some of the key viewing points of the island. 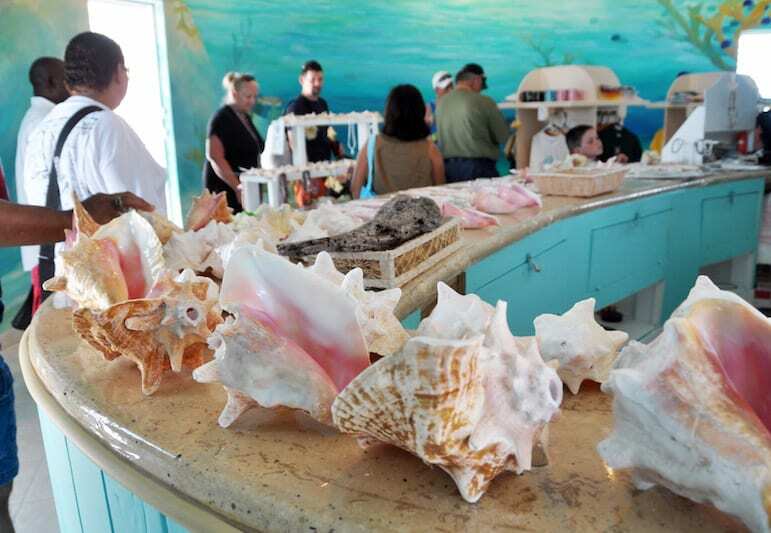 Conch is a big deal here, and the island is resident to the world’s only conch farm which makes for an unusual few hours in port. See how the conches are cultivated and discover why it’s becoming a rising food attraction among some of the world’s most notorious chefs now being inspired by this unusual seafood. Book a deluxe tour and tasting on the Caicos Conch Farm so you can try this delicious delicacy for yourself. 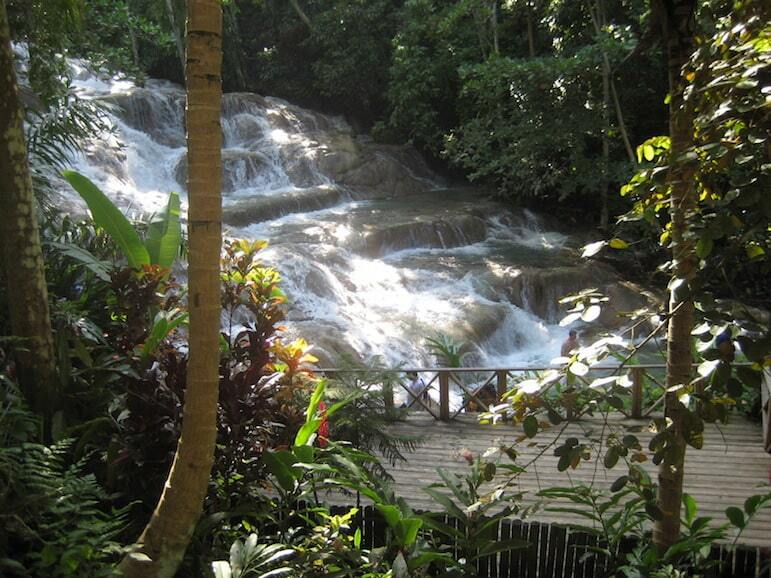 Sometimes you just can’t beat the classics, so if it’s your first time in Jamaica, Dunn’s River Falls should be your starting point. The national treasure is only a stone’s throw from Ochos Rios and the 600-foot waterfall drop is a mesmerising sight to behold. It’s a case of waterproof cameras at the ready to capture that Insta-worthy moment, before taking a cooling dip in the Fall’s natural waters. The brave can, of course, climb the Falls, either way, pack some water shoes for carefree languishing in the waters or along the rocks. A Bob Marley Reggae tour takes you on a journey through the roots of this genre at Nine Mile. On the tour you will visit Marley’s home – now a museum dedicated to him – and discover key facts about his life, in addition to exploring the special places that inspired his iconic music. There are so many cool and unusual things to do in Key West and the vibrant tourist hot spot is a great place to while away a day. Top attractions include the Ernest Hemingway Museum for a literary adventure and Mallory Square for a blend of souvenir shopping, phenomenal sunsets and entertaining street performances. 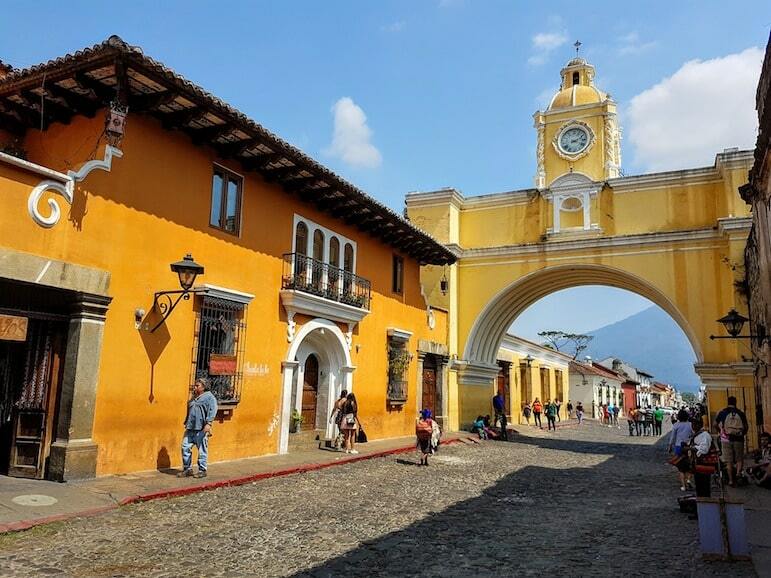 The region is home to its fair share of historical treasures, as well as being a famous as a vacation home to Hemingway. It was also a popular holiday choice for playwright Tennessee Williams and President Harry S. Truman. Museums are scattered, but most of the key attractions are on the western half of the island. 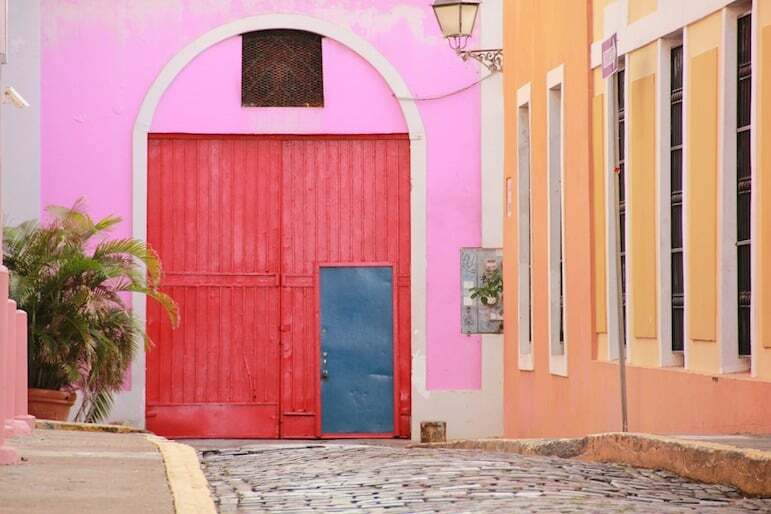 San Juan is the second oldest established European settlement in the Americas, and its colonial architecture, mixed with its modern vibe, provides a visit of contrasts. While most cruise brands offer food and drink packages on board, we still advocate that the best way to immerse yourself in a local culture is through its food scene. Spoon Food Tours is voted one of the top ten things to do while in San Juan by TripAdvisor and it’s managed to whet our appetite. It offers seven different tours to cater to a variety of tastes and tour times. Our favourite is the Sunset Walk & Taste Tour which takes you on an epicurean journey covering the island’s culture, history, people and everyday life. Arrive hungry, as you eat and drink your way around the island trying out ten food dishes and two rum-infused cocktails. It will be worth the extra expense for fresh food and fresh takes on the island’s colourful history. As you will have learned by now, the islands of the Caribbean all offer their own interesting history, incredible landscapes and inspiring cuisine. 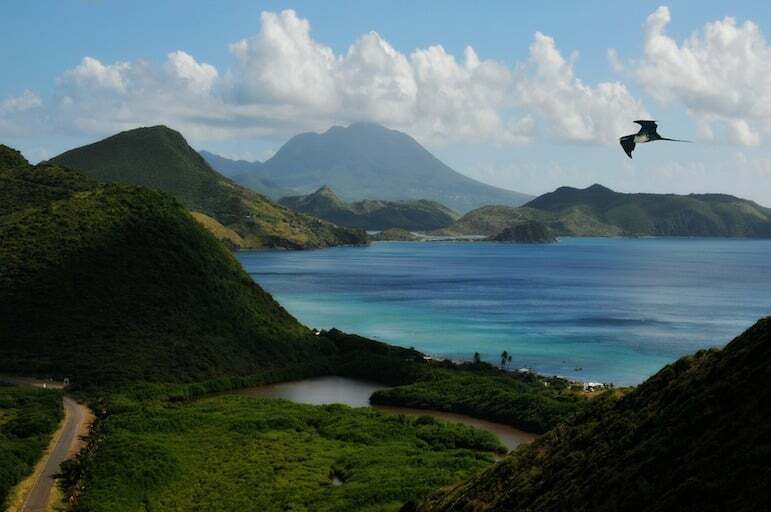 St Kitts is no different, for something a little different, a horseback ride is a leisurely way to explore the rainforest landscape to be found further inland. The gentle sloping fields mean it won’t be too strenuous. The 3.5 hour tour usually departs at 9am and 1pm. 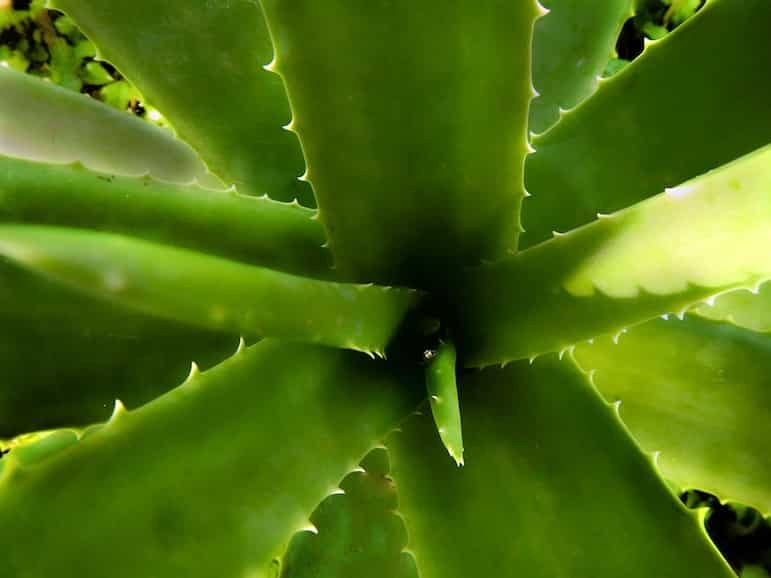 As you pass rainforest, freshwater pools and sugarcane mills, you will also be educated on the exotic flora and fauna in the area that this eco paradise is so abundantly blessed with. 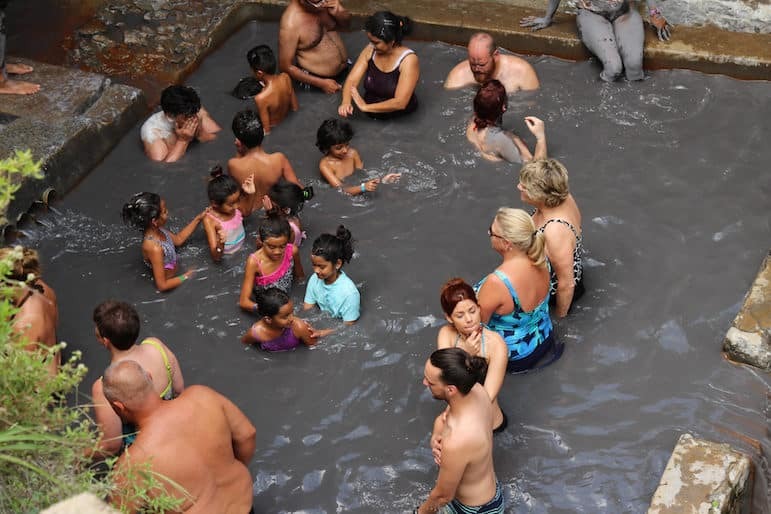 A volcano and mud bath experience at Sulphur Springs in St Lucia has received rave reviews. The boiling mud bath is believed to exfoliate, detoxify and heal the skin, and claims to leave your skin looking 12 years younger. Wear a dark bathing suit and bring sunscreen to protect your skin, and after your warming spa experience it’s time to wash off all the treatment unctions under a waterfall. It’s a natural spa but not as you know it! And depending on the flow rate of the falls, it can sometimes even provide an invigorating back, neck and shoulder massage. 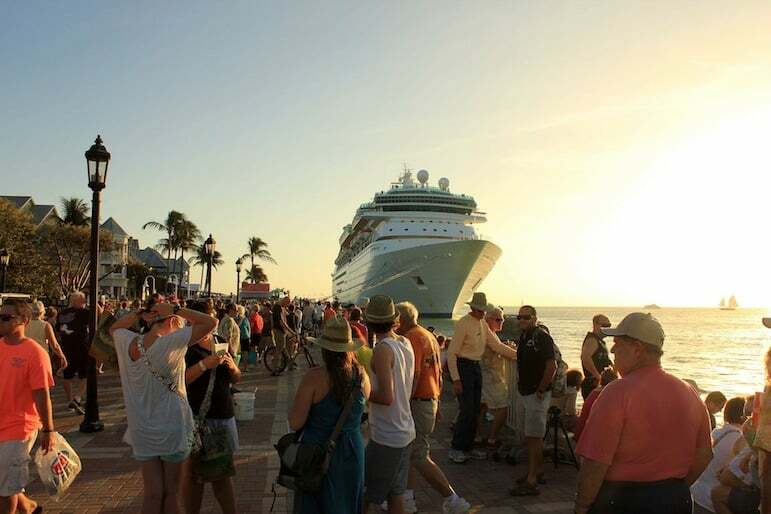 Most Caribbean cruises depart from ports in Florida, such as Tampa, Fort Lauderdale and Miami. Spend one or two nights in a hotel before your cruise to get your holiday off to the right start. Here’s a taste of some of our chic favourite pre-cruise stays. Royal Palms Resort Fort Lauderdale – A stylish resort well placed for exploring some of the local attractions, either pre- or post-sailing. Just a five-minute drive from the port. Ritz Carlton Fort Lauderdale – Its amenities include an infinity pool and a cosy lounge bar, perfect for some pre-cruise relaxation. And only three minutes from the port, which is very handy. Pelican Grand Beach Resort – With an outdoor pool, lazy river water feature, private beach and a limousine service, the Pelican Grand Beach is tailored around guest activities designed to help you relax and play in the cruise holiday way. And it’s just a ten-minute journey to and from your cruise port. West Miami – Home to gorgeous interiors and with a restaurant and nightclub, you can have a little celebration before you board or extend the luxury when you disembark. Only a 20-minute drive from the port. 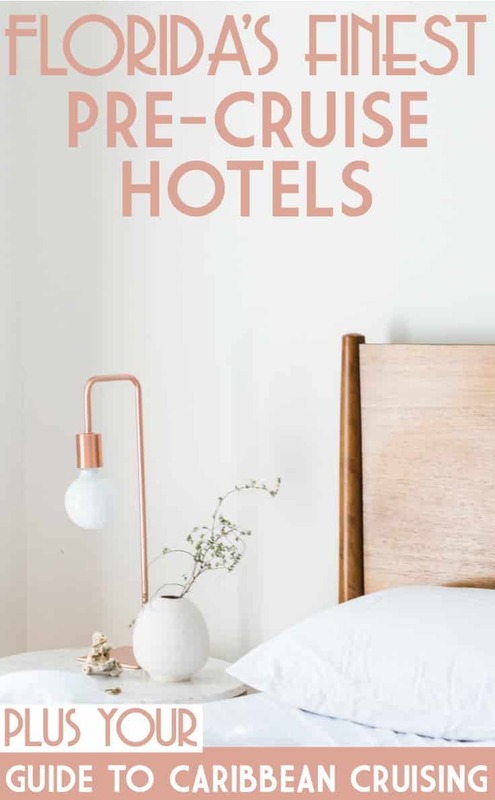 Hotel Beaux Arts – A chic hotel which is perfectly placed for the port, being less than ten minutes away, as well as for exploring Miami. The hotel is packed with facilities, from health and wellness to home-from-home comforts. 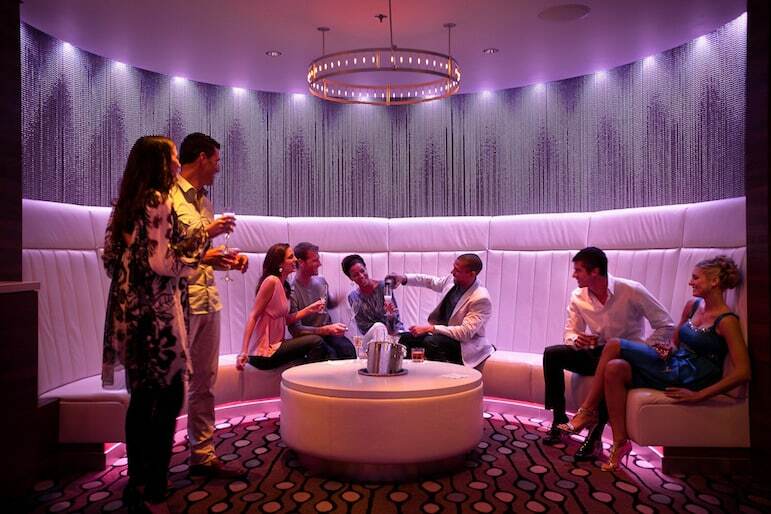 East Miami – Plush furnishings and wonderful views of the city are a great way to start your luxury Caribbean cruise. And the hotel is just ten minutes from the cruise terminal. Renaissance Tampa – A luxury lifestyle hotel in the Marriott collection, expect uber luxe surroundings and expensive art installations to kick your cruise off on a luxurious note. Seminole Hard Rock Hotel and Casino Tampa – If you’re preparing for an entertainment or party-style cruise, the Hard Rock is the ideal ingredient for your cruise and stay experience to get you in the party frame of mind. Plus it’s less than 15 minutes away from the port of Tampa. Le Meridien Tampa – This urban hotel is just five minutes from the cruise terminal and offers a superb onsite dining option, plus a chic bar for a few celebratory-style drinks.